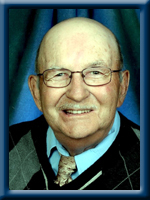 FLEMMING – Robert H., 78, of Sandy Cove, Queens County, passed away peacefully in Queens General Hospital on Saturday, July 6th, 2013. Born in Sandy Cove, he was a son of the late Frederick and Bashiba (Snow) Flemming. Robert was a driver for the former South Shore Trucking until he went to Bowater Mersey Paper Company retiring from the finishing department. He enjoyed hunting and was a member of the Liverpool United Baptist Church. He is survived by his wife Joan (Greenough); his sons Robert “Duff” (Patty) of Sandy Cove, David (Bonnie) of Sandy Cove and Dale of Valleyview, AB. Five grandchildren and 5 great-grandchildren. Joan & family, we were shocked & saddened to hear of Bob’s passing. Sincere condolences to you & the family. I am so sorry to hear about your husband Joan . I have known him for a good many years when we lived on gray hill rd.. My throughts goes out to the family . May you rest in peace dear . Joan and family..we are sending our sincere condolences at this sad time. He was such a nice gentleman,blessings to all. Joan, Duffy, David and Dale: I am so sorry to hear of Bob’s passing. I will miss him sitting in the front pew of the church each Sunday morning. My Sincere condolences. May God give you the strength to carry on.You will miss Bob for sure,but we never know when we will be called home. I was sorry to hear about Bob’s passing,please know that my thoughts and prayers are with you all at this time. We are so sorry to hear of your fathers passing.We send you our sincere condolences. Sorry to hear about Bob.Just a line to let you know that we are thinking of you. Your dad was a sweet person, with a soft voice, and we had lots of chats and laughs over those years. . Living on the hill for all those years , we have fond memories of the Flemmings….Your memories will keep you strong, although he surely will be missed by all of you. my condolences go out to you Joan,Duffy and David and their families,My thoughts are with you. Joan & family- We just heard of your loss of your Bob. WE just saw you both when out for supper and we were shocked. WE will be thinking of you and know you have many good memories to help you through your sadness. God Bless. Duffy and Family……My sincere condolences in the loss of your Dad. So sorry to hear of your loss. Our thoughts and prayers are with you at this sad time. WHICH I STILL USE TODAY. Condolence in loving memory of Bob Flemming. Owen & I wish to express our most heartfelt sympathies to you and your family. We did not know Bob long but for the short time we knew him we really liked him.He had a very good sense of humor and we couldn’t help but like him. He will be surely missed , may God’s presence be with you all at this time. Owen & I wish to express our most heartfelt sympathies to you and your family. We understand the hurt you are going through And God will see you through your hurt. It was a pleasure to have known Bob. Love to you all . So very sorry to hear of Mr. Flemming’s passing. Hold the memories close to heart. Thinking of you All during this most difficult time. Please accept our most heartfelt condolences at this time. To lose a loved one is very hard indeed and we would like to say how sorry we were to hear of your father’s passing. If there is anything we can do for you, please do not hesitate to ask. You are in our thoughts and prayers. Sorry to read the passing of your husband and father. David : Johnny and I are so sorry to hear about your fathers passing.Your dad was a such a lovely person, and was always very nice and always made us laugh every time we talked to him at your place. Please accept our heartfelt condolences Our throughts goes out to you and the family . I was very saddened to hear of Bob’s passing. I have very fond memories of our ball games in your field with him as the pitcher. I’m sure on more then one occasion he let us reach the bases after a hit – he had a way of making us all feel very special! I always thought of him as the gentle giant – to a little girl, he was awfully big … he always had a quiet word and an easy smile. A fine man, a loving father, husband and friend – hold on to the wonderful memories. My thoughts and prayers are with you at this time. Heaven has made room for another angel, to be sure! Dear Joan & Family:: We are saddened to hear of Bob,s passing. he was a quiet & gentle man with a lovely smile. I will miss that smile which was always there for all to enjoy. He is with his Heavenly Father getting his Wings. RIP BOB , we,ll miss you dearly . Dear Joan & family, I was very saddened to hear that Bob had passed away. I always enjoyed Bob at bowling, he was very quiet but you could tell he enjoyed himself. Please know that you are all in my thoughts at this sad time. Our thoughts and prayers goes out to each and everyone of Bobs Family.Bob was a very kind and gentle man. So sorry to hear of Bob’s passing. May God comfort you at this time. David , sorry to hear about your Dad. , didn’t know him personally but to lose a Dad is always so hard, sending my deepest condolences to you and yours. Joan and family, so sorry to hear of Bob’s passing. We had many laughs at bowling over the years. Bob was the sweetest soft spoken man I have ever meant. God Bless you in the days to come. Dear David, Bonnie and families, So sorry to hear of the loss of your Dad. Please accept our sincere sympathy and know lots of folks are thinking of you all at this time. My sincerest condolences to the Family. Bob was a quiet type guy with a unique sense of humor. Always friendly & always seemed to have a smile. May God give the family the comfort you need to get through this valley. Joan and Family to read of the passing of Bob you are in my thoughts May God give you and your family comfort at this sad and difficult time. God Bless. Duffy, so sorry to hear about your father’s passing. Thinking of you and your family at this time. I remember him as such a kind person when we were in the bowling league. You will have lots of great memories to get you through this time… Take care. Sorry for your loss. There will be a special; angel and star watching over you always. David, Bonnie and family…so sorry to hear of your Dad’s passing…you are in my thoughts and prayers at this difficult time…take special care of one another. Owen & I wish to convey to you our most heartfelt sympathies. It was a pleasure to have known Bob. Blessings to you both . I am so sorry for the loss of your dear husband and father. He always seemed to be good natured and kind and always had a smile. I’m sure his passing will leave a huge void in your lives and I pray that your wonderful memories and God’s comfort will help you through this time of sorrow. My deepest sympathy to you all. .My prayers and thoughts are with you all. Davied & Family: Heartfelt Sympathy & Prayers with you all. to dave , joan and family . from my family to yours . Our deepest sympathies at this difficult time . . So sorry to hear of Bob’s passing. Hard to believe we just saw him in Sobey’s a couple of weeks ago with Joan. Our hearts go out to all his family from our family. Dear Joan and family, so sorry to hear the loss of husband and father. Bob was a wonderful man. We use to have so much fun bowling ,he was always uncle Bob to me ,I still see the little smile on his face when I would say ,Hi uncle Bob. He will be saddly missed ,but wonderful memories. Gods’ Peace be with you and your family. Dear Joan and Family; My sincere sympathy in the loss of your dear husband and father and grandfather. May God`s peace and comfort surround you at this sad time and in the days to come. Our thoughts and prayers are with you all throughout this time of sorrow. My sincere condolances in the death of your loving husband Bob. My thoughts and prayers go to you and your family at this most difficult time. Am so sorry to hear of Bob’s passing and will ceertainly miss him sitting at the front of our church. Your faith will get you through this sad time and you have the assurance of seeing him again. So sorry for your loss,our prayers and thoughts are with you,and your family. To all of his family and friends I send heartfelt condolences on the loss of Bob. The strength of your love for each other will help you through this difficult time, though I know it cannot erase the pain. Take care……..Hughie. Joan, so sorry for your loss. Our deepest sympathies in the loss of your father. May your memories ease your grief and may the company of family and friends comfort you during this difficult time.